and so it begins. another chapter of life. Age considers; youth ventures. Whatsapp recently pushed new features in the midst of rising competition from newer chat apps like LINE, WeChat and Kakaotalk. One feature which I liked was the ability to upload your own display picture. At last, I can see my friend's faces while chatting them. 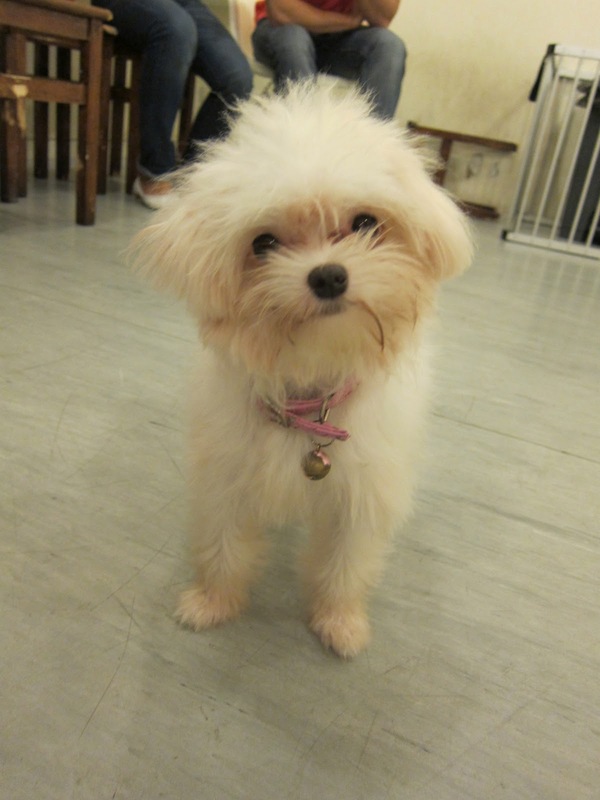 Anyway, I soon noticed that my friend, Sharon's, display picture was a cute, white, fluffy Maltese. She always had a fondness for all things adorable. Not too long ago she had an obsession with a white, fluffy cat named Maria from the Aristocrats. 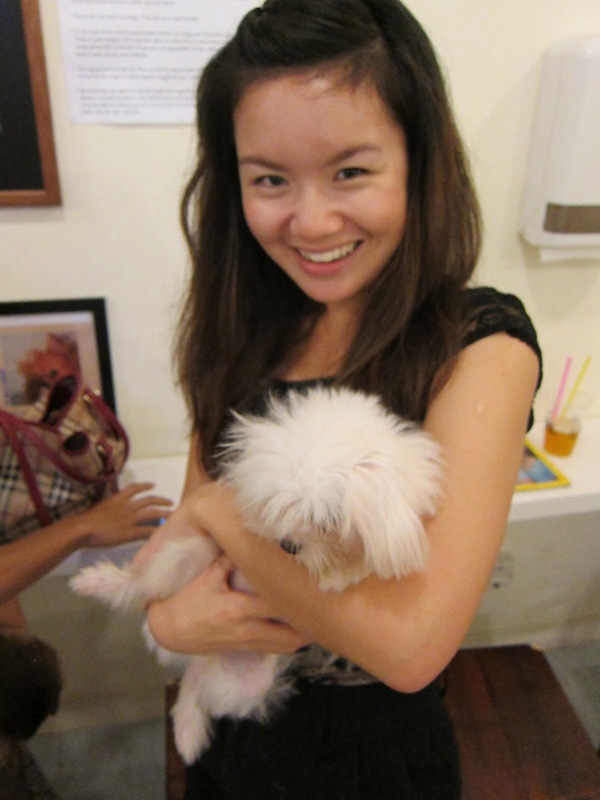 Hence, what better place to arrange a catch up session with her than at We Are The Furballs (WTF), a place filled with adorable dogs? We Are The Furballs has recently opened and is located opposite 112 Katong Mall (or "I want to Katong", kinda of a cheesy pun). 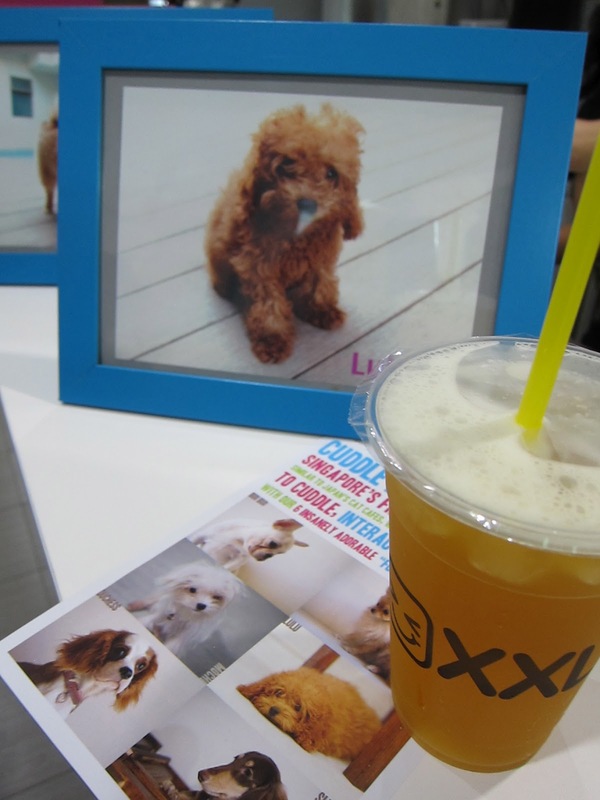 The concept is similar to the Cat Cafes operated in Taiwan and Japan, except it's done with bubble tea and dogs. Basically, patrons buy a cup of bubble tea (at an inflated price of $7.50, outrageous?! But really, it's comparable to purchasing a venti at Starbucks) and they get to play with the dogs while they are sipping on their drinks.We Are The Furballs has 6 different breeds of toy dogs that you can play with at their shop - French Bulldog, Maltese, Pomeranian, Poodles, King Charles and a Sausage dog. None of them (those dogs that you are allowed to play with) are for sale. 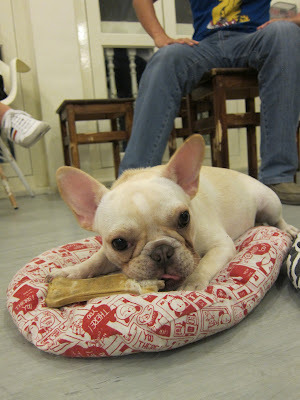 However, if you happen to fall in love with one of the dogs and decide that you want one, WTF can help. We ordered the Honey Oolong drink which was recommended by the owner and it was pretty "legit" as KH would say. I like the fact that nowadays, Bubble Tea shops allow you to control the sweetness level in your drink as I never liked my tea/coffee sweetened. 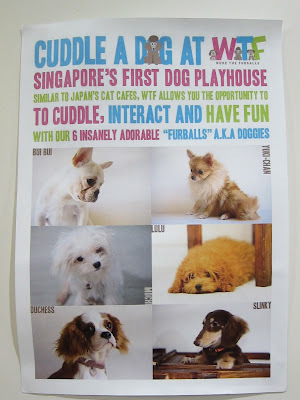 A lesser known aspect of WTF's business model is that they import dogs for sale (like a pet shop). However, unlike a traditional pet shop, WTF does not run the risk of holding any inventory because they take pre-orders (genius!). On the consumer side, all a wannabe pet owner has to do is tell WTF the type of breed and temperament they prefer (yes, much like humans, dogs have distinct personalities too). Then WTF will make a trip to Taiwan where they will scout for the ideal puppy, send the potential buyer photos to chose from and finally make the purchase of puppies directly from the breeders. This process usually takes a few months. Also, the puppies need to be at least 3 months old before they are allowed to be flown over. Prices of the toy puppies can range from anywhere from $3.5-4K. Fragile bones - these are easily broken from doing simple activities that normal dogs enjoy, like jumping. 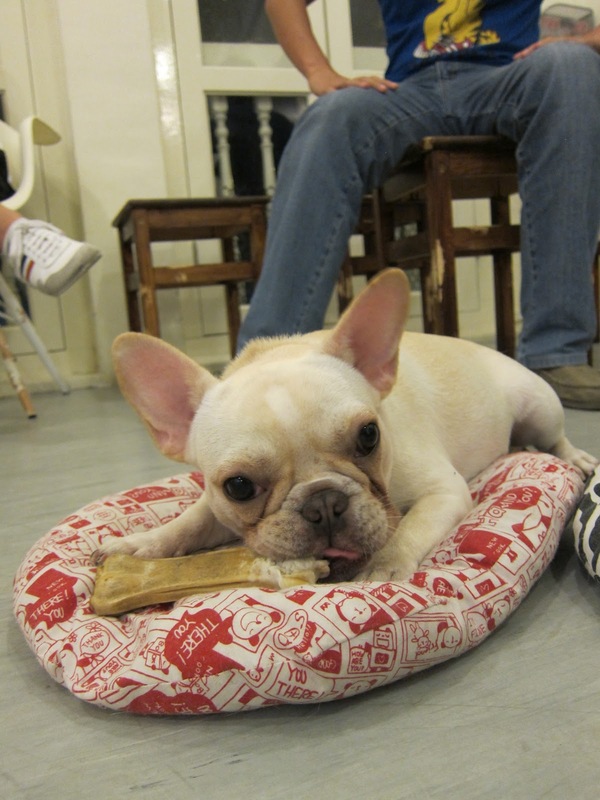 Shorter life - an average lifespan of 1-3 years compared to a standard size or toy dog which can live for 10-15 years. Being a dog lover/owner, I can definitely empathize with the pain of having to watch your pet suffer or pass away. 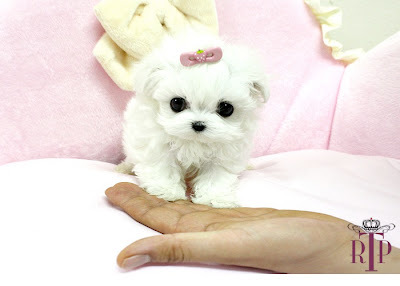 Hence, I strongly advise anyone who is thinking of getting a "teacup dog" to reconsider. I don't think anyone would intentionally want to subject themselves and the poor animal through such turmoil. As appealing as the idea of owning an eternal puppy may be, we need to bear in mind that as long as we indulge in this fantasy, unscrupulous dog breeders will continue to exploit this trade and breed unhealthy dogs. Reviewed by Amanda Lim on Sep 24 2012 . Love ur pictures and blog design! Thanks! I am guessing this must be you, JH :) cos I saw the words "judo" and "woodlands" under your profile.